Long before space travel was possible, the idea of life beyond Earth transfixed humans. 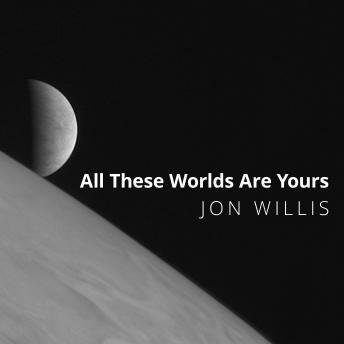 In this fascinating book, astronomer Jon Willis explores the science of astrobiology and the possibility of locating other life in our own galaxy. Describing the most recent discoveries by space exploration missions, including the Kepler space telescope, the Mars Curiosity rover, and the New Horizons probe, Willis asks listeners to imagine-and choose among-five scenarios for finding life. He encourages us to wonder whether life might exist within Mars's subsoil ice. He reveals the vital possibilities on the water-ice moons Europa and Enceladus. He views Saturn's moon Titan through the lens of our own planet's ancient past. And, he even looks beyond our solar system, investigating the top candidates for a 'second Earth' in a myriad of exoplanets and imagining the case of a radio signal arriving from deep space. Covering the most up-to-date research, this accessibly written book provides listeners with the basic knowledge necessary to decide where they would look for alien life.